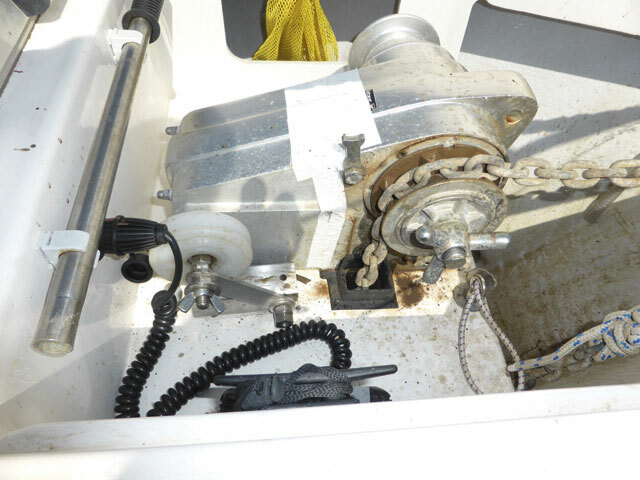 My Lofrans Cayman 88 anchor windlass, using 8mm chain, suffered horrendous chain jumping during operation. This caused big problems during anchoring, especially in deep water where the chain loads are greater. 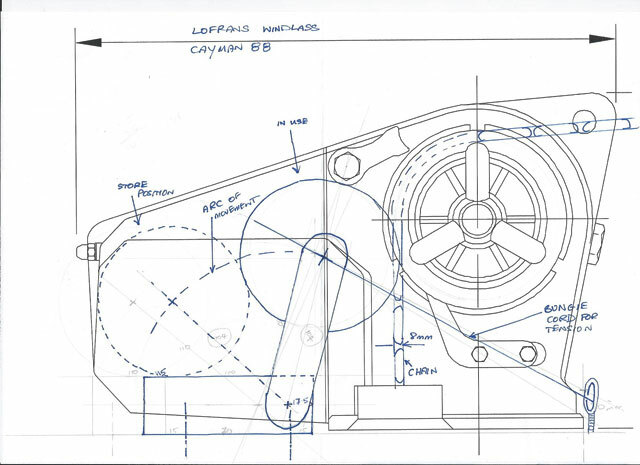 On contacting Lofrans I discovered that the windlass had been incorrectly installed from new and did not meet their guidelines – specifically that there should be a minimum of 90° of contact angle between the chain and gipsy wheel. This was impossible to achieve with the current installation as the windlass is mounted in the anchor box some 200mm below the height of the anchor bow roller. be quite simple: a jockey wheel to deflect the chain into the gipsy. It’s all made from parts bought from eBay (either stainless steel or plastic) and fabricated or modified with a few simple tools in the garage. And it’s easy to install, with just three holes to be drilled. In operation it has proved reliable and safe for both dropping and retrieving the anchor. 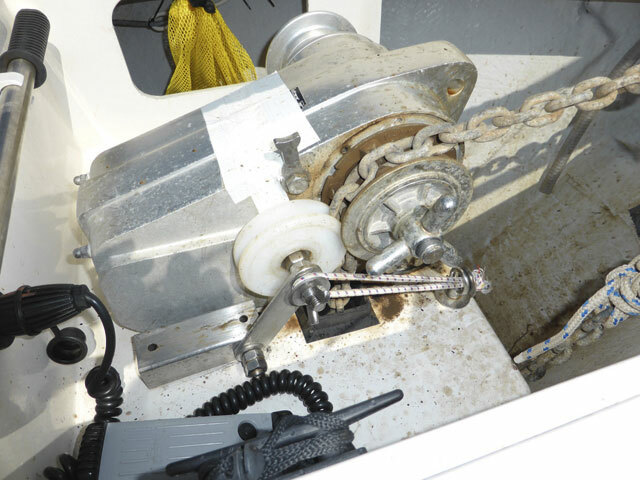 The jockey wheel’s ability to move back under pressure is essential (if there is an issue such as a chain pile-up in the anchor locker) as it prevents any damage and makes clearing a problem easy. The pressure can easily be adjusted by altering the bungee strength and preload. With some simple modifications you should be able to make this suitable for use with 10mm chain and other similar windlass designs. With hindsight I would have used L-section angle instead of box section for the base – it would be much easier to bolt in place. Many parts can probably be sourced from your ‘box of bits’, but even if you have to buy them all they’re not too expensive: pulley wheel £6, assorted stainless steel £10, fixings £5, shock cord £2.